Blake is alone this week, so he takes advantage of the quiet to answer some of your e-mails that have been building up! Blake discusses his newfound love for Phineas and Ferb, the new Looney Toons Show, and other all-ages television, brand loyalty, War of the Green Lanterns, Brightest Day, and more! In the picks: Rocketeer Adventures #2. Contact us with comments, suggestions, or anything else at Showcase@CXPulp.com! Our talks from the panel room of the Nola Comic-con continue! This week, it’s time to talk to comic book artist Andy Kuhn, co-creator of the Image Comic and Cartoon Network original movie Firebreather! 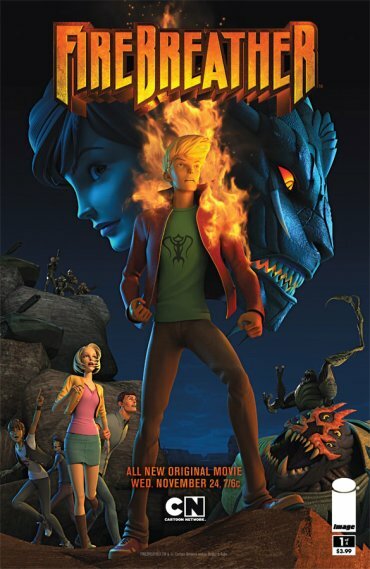 Andy talks about creating the character, the transition to film, and some plans for the future of Firebreather in this Showcase special. In the picks, Blake recommends Green Lantern: Emerald Warriors #10! Contact us with comments, suggestions, or anything else at Showcase@CXPulp.com! 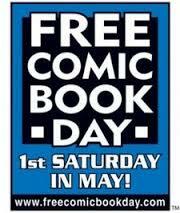 It’s Free Comic Book Day 2011, and the boys are back at BSI Comics! Blake, Kenny and Mike chat with our old friends Vernon Smith, Kurt Amaker of Immortal 60 and Monty and the Mongoose of Flying Zombies fame. PLUS: Your old buddy Chase is back with his inimitable brand of freewheeling movie and pop culture commentary. In the picks, Chase gives a shout out to Captain America: The Captain, Blake was into Avengers Academy #13 and Kenny dug DC Comics Presents: Son of Superman #1. Contact us with comments, suggestions, or anything else at Showcase@CXPulp.com! The boys are back this week to talk about the big movie coming to theaters this Friday. The guys discuss the coming Thor motion picture, the character’s history, and favorite runs with the Mighty Avenger. Then, it’s time for our annual Free Comic Book Day preview, where we run down all of the books available at a shop near you next Saturday! In the picks, Mike liked Captain America: The Captain Saga, Blake is down with Super Dinosaur #1, and Kenny digs Green Lantern: Emerald Warriors #8. Contact us with comments, suggestions, or anything else at Showcase@CXPulp.com!